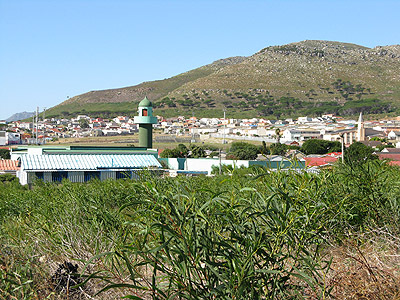 Located about forty five miles from Cape Town, Ocean View township was formed in the late 1960’s to 1970’s during the Group Areas Act; all coloured people were forcefully relocated from the ‘white communities’ of Simon’s Town, Fish Hoek and Noordhoek to this settlement. It was ironically named Ocean View, with residents being removed from their previous sea-side homes and views. During apartheid, a township was a racially segregated area in South Africa established by the government as a residence for people of color. 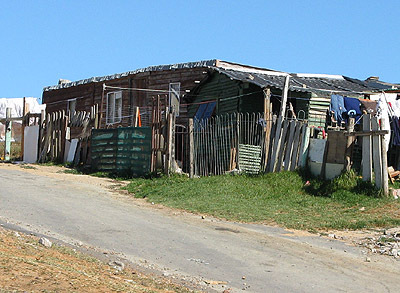 Although apartheid has ended, millions of people still call these townships home, as they lack the finances to move to higher-end homes in more affluent neighborhoods. As a result, its history is embedded in apartheid, and there is still much bitter resentment among many people. The coloured people of Ocean View originate from the Khoi-San group, and so have a unique, separate heritage from black South Africans. Today there are close to 30,000 people who live in Ocean View in brick houses and apartments. Consequently, because housing is not such a concern in this township, they face many other problems. Life is a struggle for the many residents here, having to face the challenges of huge unemployment, widespread drug use, alcoholism, gossip, gangs, prostitution and violence. Thousands of lives are being destroyed by the local drug culture, where a drug called tik (crystal meth) is being sold for as little as R5 (less than $1). Many children are embroiled in this drug, with the issue affecting all ages and generations within society. 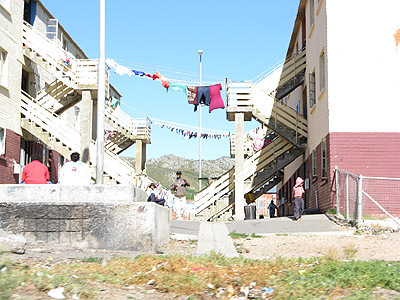 Gangs and violence stem from the drug problem; Ocean View has a high rate of crime and gangs are a main source of violence in the township as they attempt to manage the drug trade and prostitution industry. For decades the coloured community has been caught stranded between the whites and the blacks, and so has been neglected for years. Some claim to have been ‘not white enough’ during apartheid and ‘not black enough’ now, and as a result many still feel abandoned with no hope or ambition for the future. This attitude is a major cause for the struggles Ocean View faces. Youths and adults alike lack hope and aims for improving their lives by getting an education or working, and so problems such as unemployment swell. People turn to other sources of income such as crime, drugs and prostitution just to make ends meet. HIV is also a problem; there is a lot of stigma attached to it and so it is not discussed openly. The estimate for infection rate is about 8-13%, but is hard to gauge because of the unwillingness of people to talk about it. Ocean View has a number of facilities but is still extremely ill-equipped for the needs of the community; currently these include a number of schools, a library, community centre, clinic and a range of small shops. There are almost 200 churches and church groups within Ocean View but these are limited in effectiveness by division and factions, and many live a Sunday-life focused on rules, and a week-life where they behave as they wish. 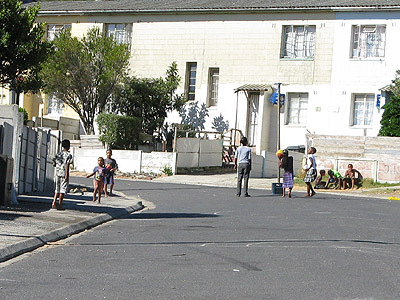 The main language spoken within the township is Afrikaans, but most also speak English. Although Ocean View is a community ravaged by social problems, some residents are beginning to stand up and fulfill the potential that has been suppressed for decades.